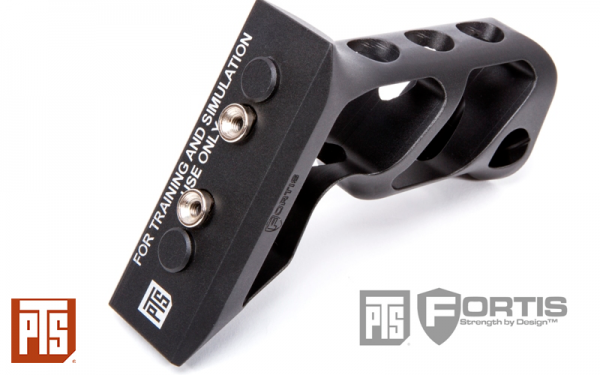 The PTS Fortis Shift™ Vertical Grip is a one piece billet design made from 6061-T6 aluminum. 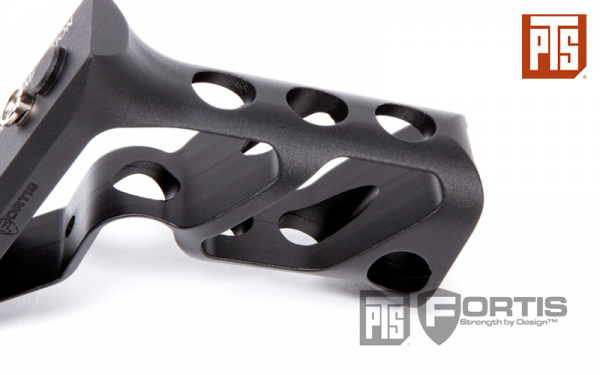 The skeletonized design grants it with an overall weight of 104g; making the grip very lightweight. 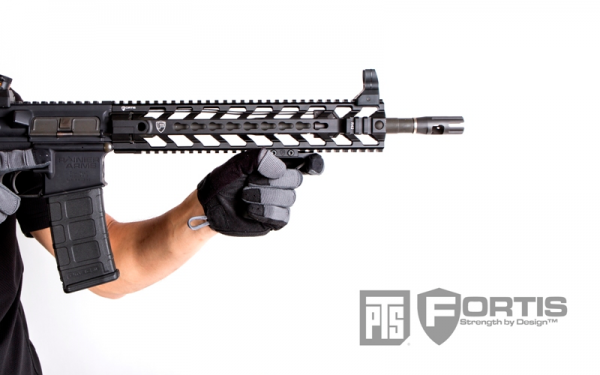 Even with its unique angled skeletonized design, the PTS Fortis Vertical Grip still maintains the same length as any traditional vertical grip. The grip allows users to use the older boxing style grip as well as the newer thumb break method or as a hand stop. 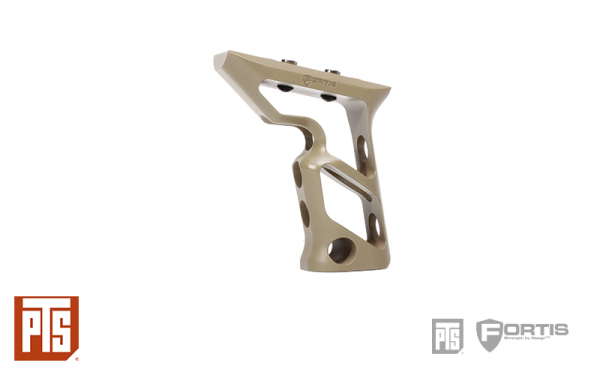 The angled design as well as the finger notch allows for ergonomic flexibility, accepting the use of their forefinger (traditional method), ring finger (thumb break method) or pinky finger (hand stop method). 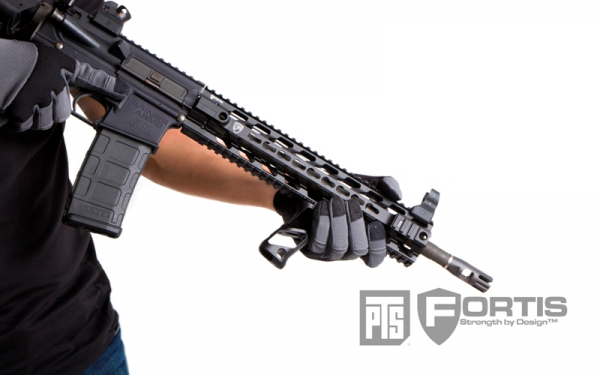 The vertical grip can be simply installed using a clamp that is adjusted by only two bolts. This means the user doesn't need to remove other accessories in order to install the grip, allowing you to save time.